I want to share something with you, something wonderful that happened last night. Read on, it’s worth it. Around 4 pm, the water company turned off the water for the entire city due to emergency repairs. Late at night, they turned it back on but it was full of silt and mud, so we let the faucets run to clear the pipes. I went back to my work and Ligia took Sophie to bed. About an hour later, I got up from my desk and went to see if the water was clear enough to take a shower. To my surprise, the entire kitchen was flooded with about 1-2 cm of water. The kitchen sink had run over. There I was at 11:15 at night, faced with having to mop up all that water when all I wanted to do was to take a shower and hit the sack. I got the mop and the bucket and got to work, grumbling to myself about the water company and the sink and the pipes and the dirty water and my luck. 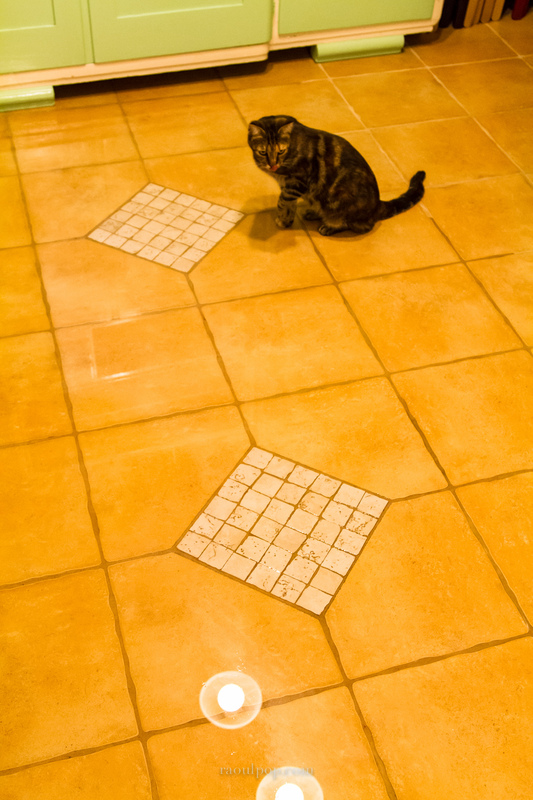 A few minutes later, Sasha (one of our cats) came into the kitchen, stepped right onto the wet floor (you know cats, they avoid water) and started looking at me. She even drank some of it. As I looked at her, I was suddenly reminded of one of my favorite cartoons featuring Tom and Jerry, entitled “Mice Follies”, released in 1954. 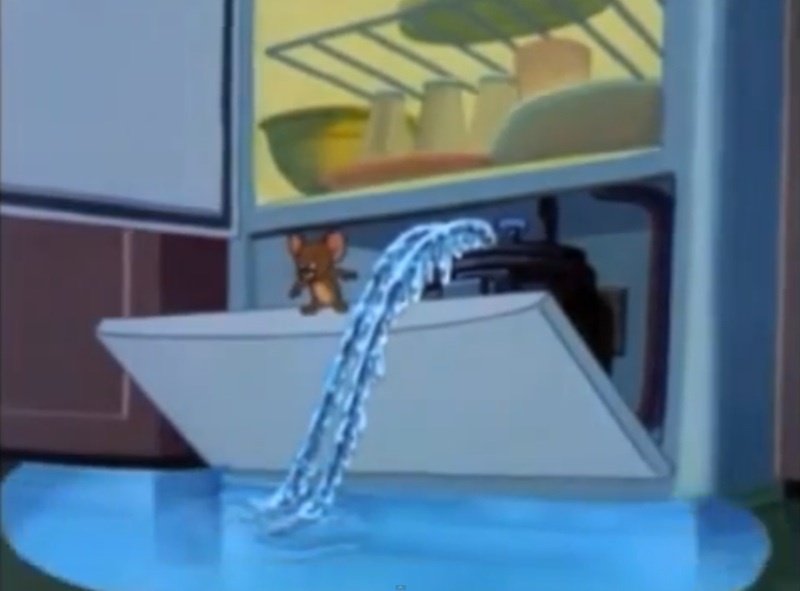 In it, Jerry and Nibbles (his nephew) flooded the kitchen and froze it with the aid of the refrigerator in order to create a skating rink. Tom naturally pursued them, leading to lots of pratfalls, pranks and laughter. That wonderful memory of a wonderful cartoon was enough to wipe the slate clean for me. All of a sudden, a late-night disaster was an opportunity to enjoy the moment. My attitude toward it changed completely and I began to enjoy mopping up all that water. I half expected Jerry and Nibbles to tiptoe into the kitchen holding a couple of refrigerator wires in hand, ready to freeze it. 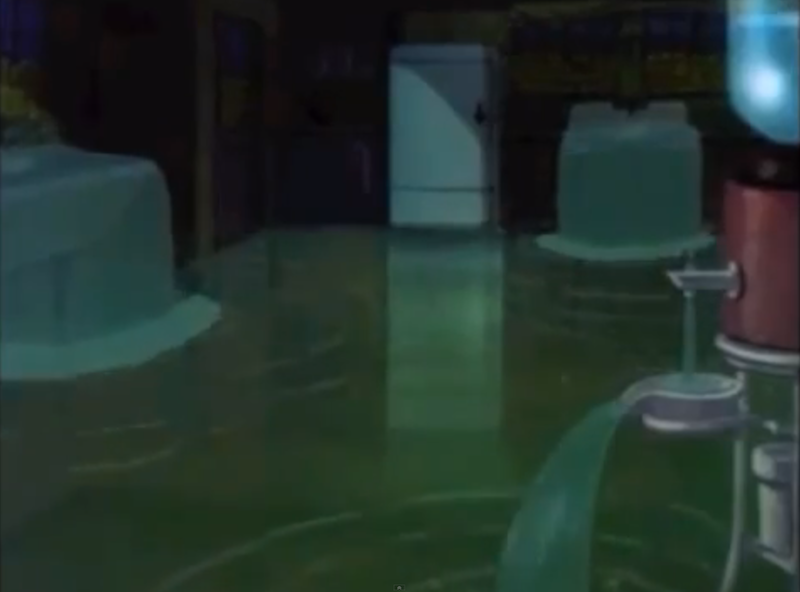 It took about 45 minutes to get all the water mopped up. 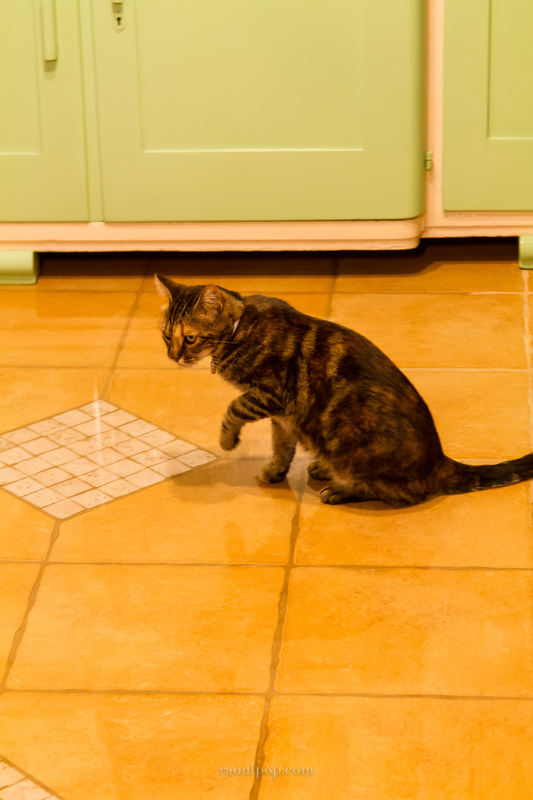 All of the cats joined me by the end, entranced by the circular movements of the mop through the water. 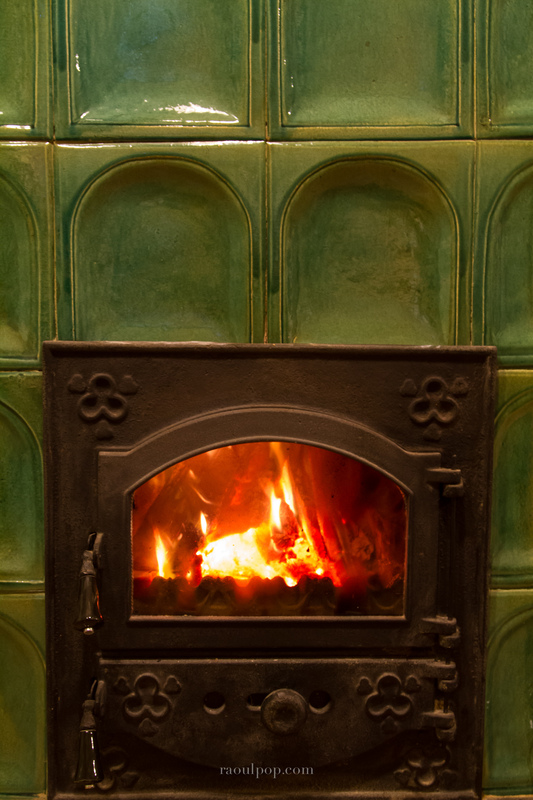 I even started a roaring fire in the kitchen stove to keep me company. I had a blast and went to bed with a smile on my face. Isn’t it amazing how differently we can perceive the same event if our attitude toward it changes? We can complain and grumble or we can smile and enjoy ourselves thoroughly doing the very same thing. 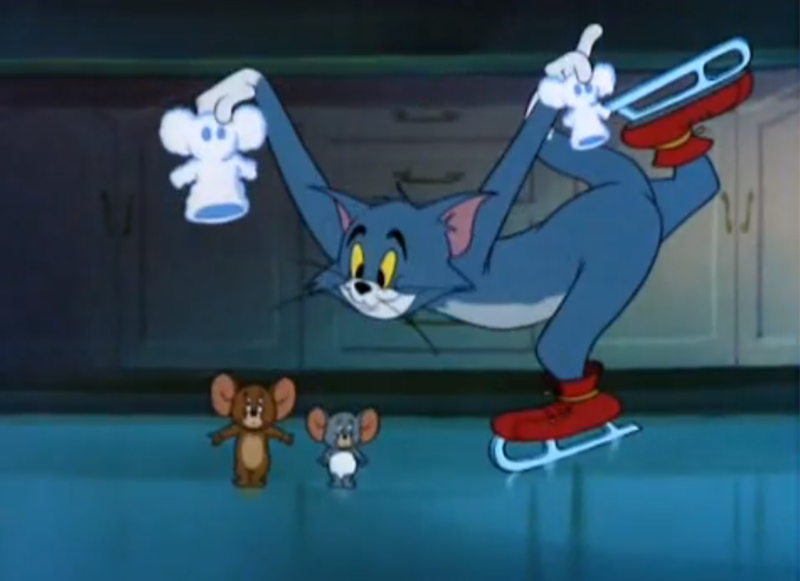 And of course it helps if we also love Tom and Jerry cartoons! That’s one of my favorite too. I thought I was the only one.